If you are looking for an all-in-one solution for multi-room music steaming, the Lithe Audio WIFI All-in-one speaker is an outstanding speaker that is perfect for this. This fabulous ceiling speaker seamlessly streams high quality audio so you can fill your home with wonderful sound. 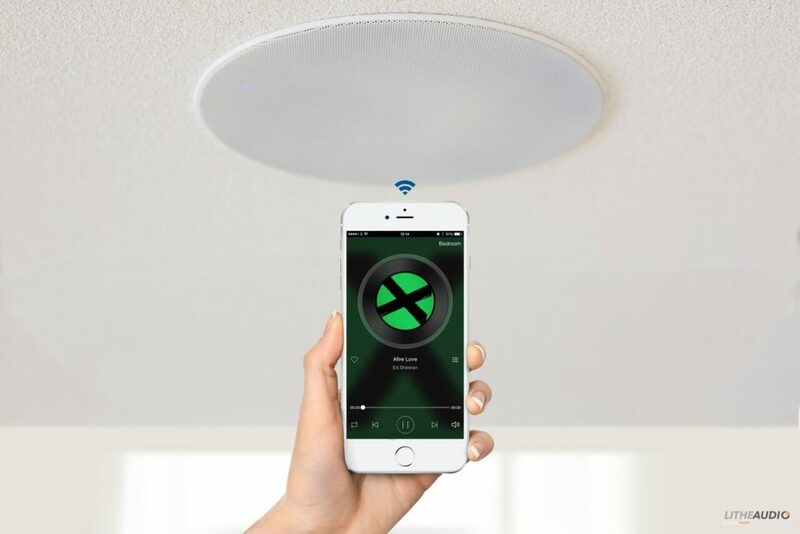 This innovative Wi-Fi ceiling speaker is designed to enable high quality audio streaming from Airplay, DLNA and UPnP and is a speaker that combines a 60W RMS amplifier, and built in Wi-Fi in a single, easy to install, compact unit. Once fitted you will be impressed with how ‘invisible’ it is on the ceiling. This is one feature I loved about this ceiling speaker. The white round cover for the speaker blended in beautifully with the ceiling. The speaker was also very easy to install. A cutting template is provided to cut the correct size hole in the ceiling, the speaker can be powered from a plug socket via the supplied plug or wired into a lighting circuit. Once plugged in linking to a phone is very straight forward. The app is very simple to use. Once the speaker was plugged in, I could listen to high quality music in the comfort of my own home. I also used it when streaming a film on my phone and the sound quality and clarity was excellent. The app allows you to group up to 30 speakers together. This means you can play music in only one room if you want or you also have the option to link them together to play music in multiple rooms. The Lithe Audio Wi-Fi All-in-One speaker is a very stylish speaker that is perfect for anyone who enjoys listening to music or who wants to listen to clear sound when streaming. 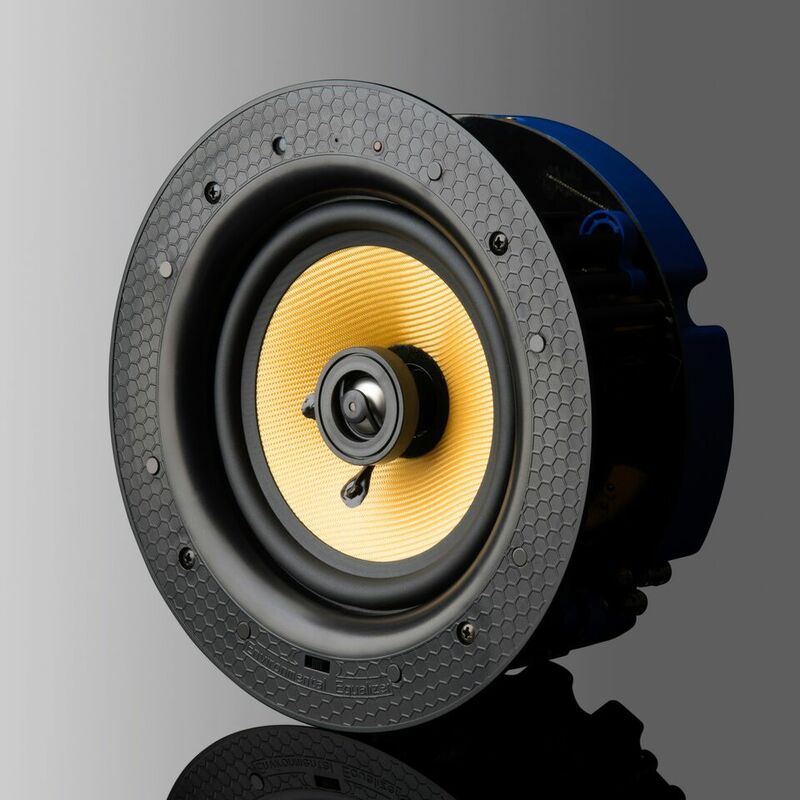 This speaker has a 210mm cut-out diameter, weighs 3.7kg and has a 2 year Limited Warranty. The speaker comes with a power supply, cutting template, instruction Manuel and a 5m speaker cable. This brilliant speaker is an ideal addition to any home and once you have used this speaker day to day, you will wonder how you ever lived without it. The RRP is £329.99.